Ulster Bank has plans to have five cashless locations by the end of this month. BANK OF IRELAND and Ulster Bank are being criticised for moving towards more “cashless banks” as this could have negative consequences for elderly people. Ulster Bank plans to have five cashless locations by the end of this month, four in Dublin and one in Cork, while Bank of Ireland has plans to go cash free in around 100 branches across the country. Independent TD for Roscommon-Galway Michael Fitzmaurice has hit out at Bank of Ireland saying its actions will have “major negative implications for many people in local communities”. The decision by Bank of Ireland to withdraw counter staff and cash facilities from 100 small rural branches across the country is a slap in the face for rural Ireland. He added that elderly people will be most affected by the move. The vast majority of people over the age of 65 have never been online in their lives yet they are expected to be able to conduct internet banking which is sheer madness and desperately unfair. “Older people want to conduct their business over the counter with staff members and now this facility is being withdrawn. We are leaving these people behind”. He also criticised the Minister for Finance on the issue, saying, “It is noticeable that when Bank of Ireland first mooted this, the Minister for Finance made it clear he wasn’t happy. Now as he winds down the government seems to have lost its voice. Fitzmaurice added, “I would remind the Bank of Ireland that it was the ordinary people of Ireland who bailed them out when they almost bankrupted the country in recent years and now this is how they are being repaid. It is clear that they do not want to see people in their branches any more which is a sad state of affairs. In many cases people who have been Bank of Ireland customers all their lives are being forgotten about and this latest move is a scandal. 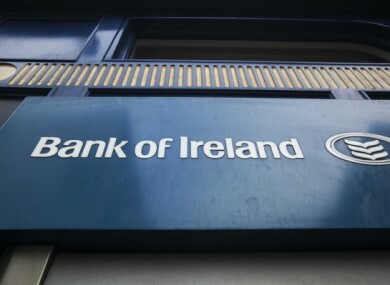 “Our customers are rapidly changing the way they bank, just as they are changing the way they buy goods or services online and communicate with each other,” a spokesperson for Bank of Ireland said when contacted by TheJournal.ie. When we look at trends over time within a branch’s catchment area and see a consistent decrease in counter activity, we reconfigure the branch to support how our customers are using it. These branches won’t be cashless – cash services will still be available through self-service options, with staff now available to assist customers. This change has been very successful in a growing number of our branches, where we have seen an increase in transactions happening in branch through the enhanced availability of self-service options. “Implementation of these changes is taking place on a phased basis with a two-month period for comprehensive customer notification,” they added. A spokesperson for Ulster Bank said the cashless locations in its Dublin stores on Grafton St, Liffey Valley, Raheny, Swords Pavilions and Winthrop in Cork “will offer a range of services including mortgage applications and advice, account openings and queries, personal loans, credit cards and home insurance as well as financial planning and online and mobile banking guidance and support”. A spokesperson from the Department of Finance told TheJournal.ie that they believe banks such as Bank of Ireland are responding to customer behaviour. The Department has put in a national payment plan with the Central Bank, but is looking for banks to use less cash, rather than go cashless. The spokesperson also said that this should not be at the expense of vulnerable members of society, and that the department encourages banks to use lower denominations in ATMs, for example, so people with lower means can take out money easily. Email “'Desperately unfair': Bank of Ireland accused of leaving elderly behind as 100 branches go cash free”. Feedback on “'Desperately unfair': Bank of Ireland accused of leaving elderly behind as 100 branches go cash free”.